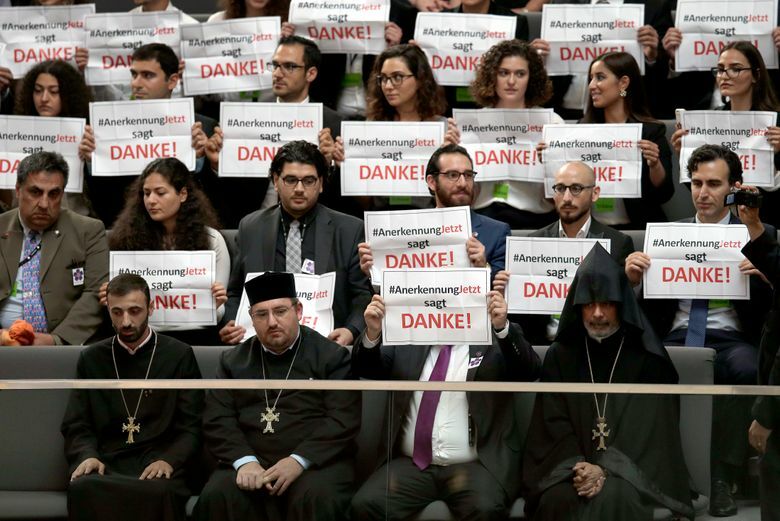 ANKARA, Turkey (AP) — Germany’s Parliament voted Thursday to label the killings of Armenians by Ottoman Turks a century ago as genocide. The move threatens to increase tensions with Turkey at a sensitive time when Ankara is playing a key role in stemming the flow of migrants to Europe. Ottoman Turks forced Armenians out of their homes in eastern Turkey amid fears they would cooperate with the enemy army of Czarist Russia around the time of World War I. Historians estimate that up to 1.5 million Armenians were killed during the forced expulsion — an event widely viewed by scholars as the first genocide of the 20th century. Large populations of Armenians were dispersed worldwide and are pushing for international recognition of the killings as genocide. The start of the mass killings on April 24, 1915 — when about 250 Armenian intellectuals and community leaders were rounded up and subsequently deported or killed — is commemorated every year in Armenia and the Armenian diaspora worldwide. Turkey acknowledges that a large number of Armenians were killed as the Ottoman Empire collapsed, but strongly denies that the deaths constituted genocide, insisting that those killed were victims of civil war and unrest. It also says that the death toll has been inflated and that many Turks were also victims. The event is a dark chapter rarely discussed publicly or taught in schools. Prime Minister Binali Yildirim this week described the events as “ordinary” that could have taken place “in any community, in any country” under conditions of war. Some in Turkey fear that Armenians will use the genocide issue to press for compensation — either money or lost land. The German vote on describing the events as genocide is symbolically important even though it has no legal effect. The resolution passed with support from all the parties in Parliament. It was put forward by Chancellor Angela Merkel’s conservative bloc, their partners in the government, the Social Democrats, and the opposition Greens. The motion acknowledges that Germany, as an ally of the Ottoman Empire during World War I, bore some responsibility for the massacres. It urges the German government to “encourage” Turkey to “deal openly with the expulsions and massacres” in order to lay the foundation for reconciliation with Armenians. 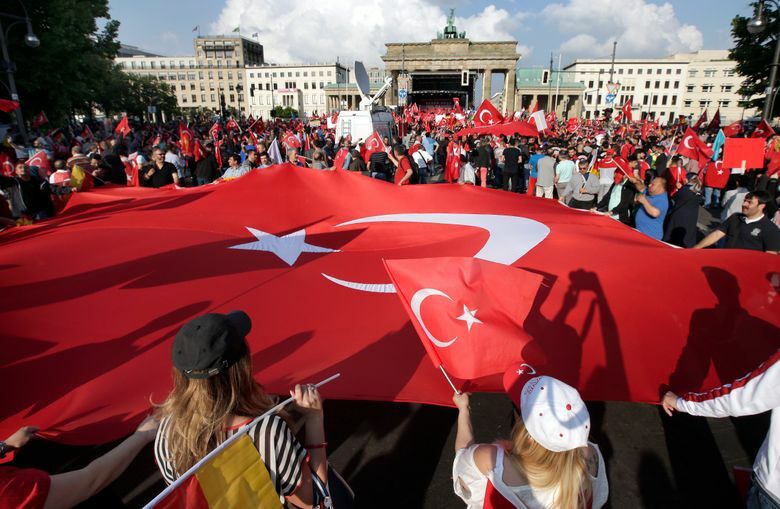 Turkey warned that relations with NATO ally Germany — home to some 3 million ethnic Turks — would be harmed if Parliament voted to describe the killings as genocide. However, Prime Minister Binali Yildirim said Turkey wouldn’t nix a key deal with the European Union on curbing the flow of migrants to Europe over the issue. In the past, Turkey has withdrawn ambassadors from countries soon after their parliaments or governments recognized genocide, but returned them quietly to their posts a few months later. The German recognition could also stiffen Armenia’s stance in the conflict with Azerbaijan over Nagorno-Karabakh region. The mountainous region of Azerbaijan is under the control of the Armenian military and local ethnic Armenian forces. Most of the 150,000 residents are ethnic Armenians. The German vote comes a few weeks before Pope Francis is due to visit Armenia and the genocide memorial. Dozens of countries have recognized the mass killings as genocide, including nearly half of the member states of the European Union. Turkey temporarily withdrew its ambassadors to the Vatican and Vienna last year after Austria and Pope Francis labeled the slaughter of Armenians genocide. To the great disappointment of Armenians, U.S. President Barack Obama has stopped short of calling the deaths genocide. Washington has been keen not to offend Turkey at a time when it is playing a crucial role in the fight against the Islamic State in Syria and Iraq. Armenian-American leaders have urged Obama each year to make good on a pledge he made as a candidate in 2008, when he said the U.S. government had a responsibility to recognize the killings as genocide and vowed to do so if elected.